The B8 Open-Design Diamond Detector is a general purpose detector optimized for spectroscopic applications where the complete area of the diamond sensor is being used. There is no material interfering with the beam. 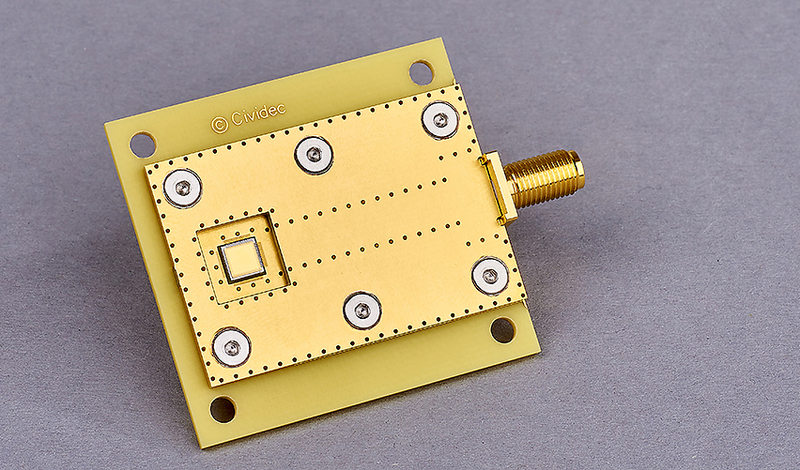 This detector is designed for applications in astrophysics and for α-spectroscopy as well as for heavy-ion spectroscopy. The special design of the detector ensures that there is no RF pick-up disturbing the measurement, which ensures high resolution spectroscopy. The sensor thickness of the B8 Open-Design Diamond Detector can be custom specified.